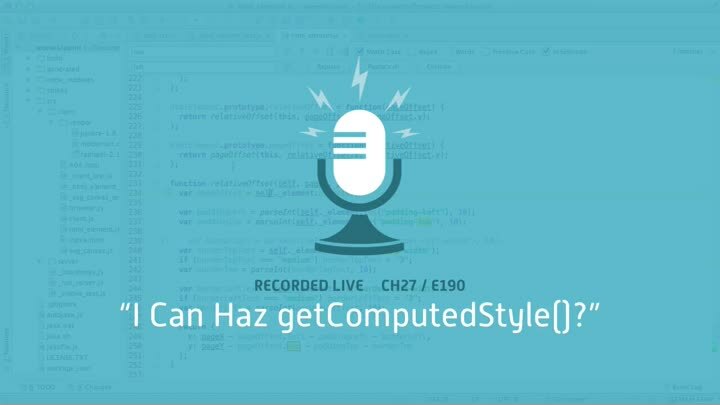 E190: I Can Haz getComputedStyle()? Productizing an app is hard. You have to deal with a lot of crazy stuff and it can get a little old. But it has to be done, and that’s what separates the big boys from the weekend projects. In this episode, we deal with IE 8 and the getComputedStyle() function. IE 8 doesn’t have it and jQuery won’t even try, so we write our own emulator for it.